Combine yogurt, honey and turmeric in the mixing bowl and stir until smooth. Keep in the jar and refrigerate up to a week. 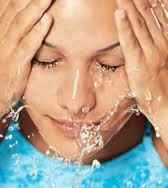 Wash your face with mild soap, rinse and pat dry. Apply the mask on the face and keep it for 15 minutes. Rinse well with cold water.